The Holiday Season can bring sorry and joy in equal amounts. In this episode Andrea and Robyn look at strategies for coming out the other end unscathed. Our families know how to push out buttons and Robyn and Andrea will help you keep your cool. Robyn: Hi, everyone, it’s Robyn Logan here and I am here with my co-host, Andrea Lee. Hi, Andrea. Andrea: Hey, Robyn, good to be here. Robyn: It is and we’re welcoming people back to CoachStreet after a little bit of a hiatus. And honestly, the time its just taken us to get our recording set-up, we could almost say that we’ve been setting up the Skype recordings for three months. Andrea: That’s true, isn’t it, very true. It’s all worth it though for our listeners. Robyn: I know. What has been happening, why the break? Really, I guess you should ask me. I sort of just drop off the perch for a bit there. Life got busy, work got busy, you know, running a business, having two kids, etc. But it was winter and I think we should call it a hibernation. Andrea: I think that’s just fine and you always want to leave them wanting more. Robyn: That was my secret plan, actually. Andrea: It’s really good to be back. Robyn: It is good to be back, and we’re back and you have a new device which I feel like we need to announce given the extraordinary chat that happened on your Facebook page about what phone and computer you should get. Andrea: I have been living without a cellphone for the most part, almost 45 years and it has been really quite an interesting experiment to observe the various reactions from the people around me. Robyn: So just tell me, is that because of some moral position on phones or brain cancer from phones or do you actually live in a tree house? Do you have a toilet in your house? Andrea: Yeah,we do have a toilet, it flushes too. It’s best put down to sheer bloody mindedness. I do have a bit of a position about automatically assuming that we must have a phone because everyone has one. If everyone has leg warmers, do we all need to automatically get leg warmers? Maybe, maybe not. Technology plays a big role in my life. It makes CoachStreet possible, it makes friendship like ours possible, right, Robyn? But I was on the phone a lot; I still am. As coaches, we need the phone. So I wanted to make sure that I really, really needed it and I figured once a whole dozen or so friends and colleagues and clients were clamoring for me to be more accessible, that was really a good sign so I gave in. Robyn: Well, it’s interesting because we’ve just been through this with our son Ryder who had just turned 12 and he’s been wanting a phone for since he was eight and not only that, all his friends have got phones and he is probably the last kid in his class to have a phone. We’ve been asking same thing which is… “what do you need a phone for? You’re at school, you’re coming home, you don’t need a phone”. We bought him an iPod Touch which connects to Wifi so that he can still text his friends, go on the Internet, have an Instagram accounts, all these sort of things,but the actual phone thing. like needing a phone, up until now, we just did not think was necessary. So, finally, now that he’s 12 we’re giving him one, but it’s got very limited calls on it. That’s the thing about the phone, the phone isn’t a phone anymore, it’s a device to connect to the world. You can actually make phone calls from it if you like or not. Andrea: Right, exactly. it goes very nicely into our theme for today about navigating the holidays as a coach and what coaching means in the holidays. This kind of family issue definitely plays a role when we have more time during the holidays to hang out with our family. I totally agree, I think they’re no longer just phones. They are status symbol among children and it’s really good to think what that means. It’s difficult, I don’t envy parents this position at all. Robyn: I know it’s hard and honestly we could do a whole hour just on this. Steve Jobs came out saying he didn’t let his kids play video games and stuff like that. Anyway, that’s a whole other thing. Our topic today is Coaching in the Holidays and even just perhaps being in the holidays and self-coaching in the holidays. We’re doing that because today is Thanksgiving in the US. Do you have Thanksgiving? It’s a different date, isn’t it? Andrea: Right, yeah, it’s a month earlier because we’re that much colder. You see, the funny thing is we remember this holiday as it actually corresponds to things that happen in real life, like weather. Andrea: Well, Thanksgiving has to do with harvest. We harvest a lot more a lot earlier in the calendar so it’s in October that Canadians have Thanksgiving. We just sort of piggyback and have more pumpkin pie when the Americans do it. Robyn: Can I just ask about the pumpkin pie because for us in Australia it’s completely weird to have a dessert made out of a vegetable that no child likes to eat ever. Andrea: Yeah, well I don’t know if I’m the definitive word on pumpkin pie. I think it’s a little bit like red wine. There are certain tastes that have that umami fish flavor that’s just aren’t for kids. I think it actually shows that kids taste bitter taste a lot more potently as youngsters than adults’ taste buds do. That might be something to do with it. 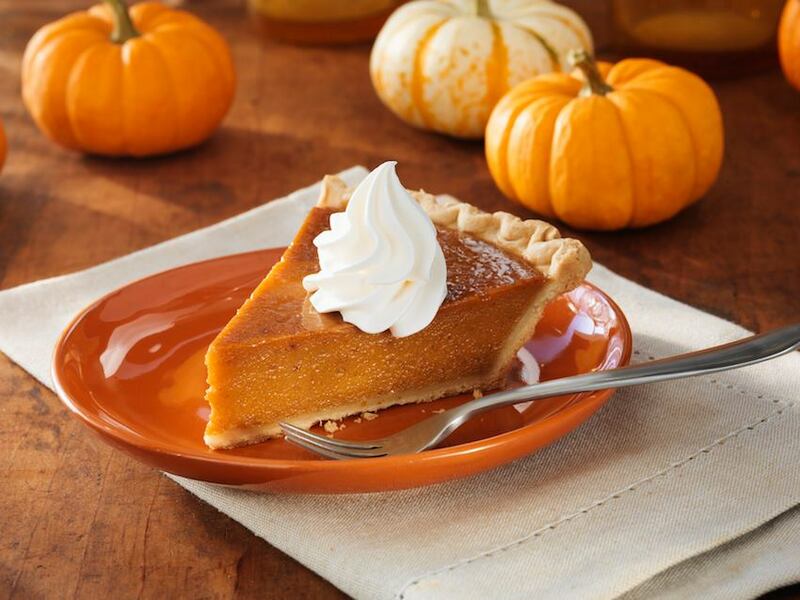 I don’t know about you, but I love pumpkin pie, love it! Robyn: Well, I don’t reckon I’ve ever had it. Andrea: Well, we need to rectify that. Robyn: Because in Australia we’re not into Thanksgiving. What do you do on Halloween? That’s crept up on us. I would prefer Thanksgiving. I wish that had arrived not Halloween. Robyn: You know, just be happy with what you’ve got. The other thing, of course, about this topic that’s good even do we don’t do Thanksgiving all across Asia and Australia and the entire half of the world, we do have Christmas looming so that’s a good one to talk about and Chinese New Year as well. I don’t know if these issues extend, but there’s always holidays, there’s always times when you’ve got this idea of family coming together for whatever reason and there’s some sort of an assumption, a cultural assumption, that the family is a loving family and they can’t wait to all come together and have an amazing time. This is represented in all the photos, the images and the movies, except for a friend of mine who suddenly made a movie, a horror movie called “Thankskilling,” where the turkey took off and actually murdered all of them. Robyn: But, anyway, apart from that, it’s supposed to be a really lovely time and I am sure for a lot of families, it is, but that’s not always the case. Is it? Andrea: No, I think this is the thing that I would wish for our topic today is that as coaches and purveyors of coaching it’s actually really useful and fun to remember where in the calendar we are. So regardless of what it is right now with Thanksgiving or Christmas or Hannukah or Quanzar or New Year’s or Chinese New Year’s or Valentine’s Day, whatever the case may be, this is a universal state. Humanity celebrates certain days, regardless of what faith or culture they’re in. 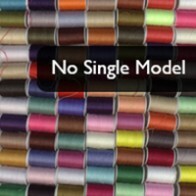 What does that mean for coaches and coaching? Do you think, Robyn, that there’s something in that fact that the calendar has that structure in it that coaches can be paying attention to, that makes coaching more applicable during those time or not? What are your thoughts? 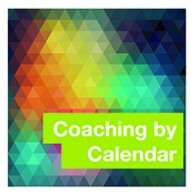 Robyn: I remember we did that session on the calendar and using that for your coaching. Robyn: It’s definitely something to use, you know it’s coming up so it’s a time to just broach with your clients if there are any issues to do with family and how they feel about the holidays coming up. And the other thing, of course, is that what we find at ICA, which is just so bizarre, that many people enroll in our coach training on Christmas Eve and New Year’s eve. Robyn: Seriously and I think….we’ve been trying to work it out for years, and I think it’s because people stop work for a few days. They stop and sit and have a think. There’s something about coming together like that with your family which is sort of in a way taking you back to your childhood that makes you reflect on where you are now and that’s the moment that people think…I’m going to change my life here, I’m going to do something different. Andrea: I truly believe that there are significant opportunities of leverage for both coaches as business owners to lean-in on this thing that you’ve just described, right Robyn? I have found almost universally true that people will decide to hire a coach at the end of the year or at the beginning of the year more often than the rest of the year. Robyn: Alright, so you found that too? 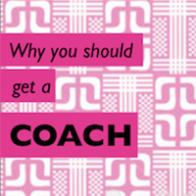 Andrea: Yeah, definitely, and so it’s an opportunity for any coach beginner or exact to really look at ….are you really taking advantage of this time of year being one of the highest…the sort of most intense time for people who want to hire a coach to actually hire them. Are you saying….hey, do you want to get your year sorted out before the end of the year or do you want to get your new year in gear, kick start your new year? Are you disappointed with this year so far? You still have one month to make good on family or new year’s resolution. All these marketing positions are really…I mean, the helping moments industry does an excellent job so if you notice these things, I think that coaches have underutilized marketing opportunity. Robyn: Yeah, I think so, actually, it’s a really good point and that’s the time to perhaps maybe do the Facebook that we’ve been thinking about with the message around….do you want to make 2015 your best year yet or it’s not too late to change direction, all those sort of things. Robyn: And now is a good time, I guess. 2015 in unbelievably, literally around the corner. You can start right now. Andrea: I think the holidays also, Robyn, highlight a gap like when we pause, as you said, and reflect, we certainly notice the absence of things like….2014, how did that happen? It’s like there’s this huge gap that feels like I made my new year’s resolutions and then boom, here we are on Thanksgiving. That gap is an essential part to being an excellent coach, I think, literally and figure it to notice a big gap with people. As a professional, you can really notice that around the holidays. This gap becomes more evident and take advantage of those. Robyn: There’s also positives to be had. It really is a moment for reflection and to think to the future and think about how you do want your life to be and start to create that. So there’s definitely positives as just a person, but also as a coach; time to leverage and do some marketing. But let’s talk about the …let’s see if we can…you know, we’ve no planning whatsoever between us…come up with some tips or strategies for people who struggle, who have issues with their family and find it difficult to sit through the entire Thanksgiving meal or day keeping it together. I mean, actually the Jewish people have got it right. They do Shabbat every Friday so that’s a lot of practice, right? But, I think, sometimes what happens, as I’ve observed not so much in my family, but I’ve observed with some friends, is they don’t actually have a lot to do with their family during the year and they just come back for this one day. So on the one hand, the don’t actually really know these people that well, but love them but they don’t know them that well. So on top of that, there’s this expectation created by the media that everybody loves everybody and so sometimes it feels wrong to appear not to be like that. Andrea: Yeah, it’s a pent up thing. I think if you’re listening and if you are in that same category as me…I love and deeply appreciate what my family have given me, but we’re not frequent visitors like you’re saying, Robyn. I know I’m setting myself up in the holidays because they’re so much that’s been unsaid for months and months until we get to this day. Everybody feels like they have to spill their guts on all the things…. (laughing). It’s a wonder, it’s like you can’t throw out the garbage all year until this one day then you have to throw the garbage all in one day. It’s worth it. Robyn: What do you do about that? Robyn: Yeah, it would take the focus off each other, yeah, that’s right. Andrea: Precisely, that’s been very effective in my family. Robyn: For me we’ve got a great module that I say I code “Responding Versus Reacting” and I think just to count to five when things do trigger you. What was the name of that…it was on…Oprah Winfrey had a guest who was talking about Thanksgiving and she said some great things. One of the most….your family, of course they push your buttons. You know why they push your buttons? Because they put them there, they installed them. It was so funny and it’s true because it’s not only during…..you know, you might not be used to being around that much, but they know and it’s going to happen, they’re going to push your buttons. So the thing to do is to not react. Reacting is where you just unconsciously allow…you just blurt out and you just react. By responding this way, you just take a moment to sit and think and you don’t let your automated response rule you and you actually think…..okay, I can be a bigger person than this, I can let it go. Nothing in here, as we say. Let it go, as we say here, let it go. Andrea: Ain’t nothing here for anyone, moving right along. Robyn: So I think that’s a good one responding and reacting. The other one, I’ve drawn a lot is our module on “Releasing Judgment” because……it’s probably safe to say my mother won’t probably be listening to this podcast and she won’t mind me saying that she can be sometimes just ever so slightly racist. I used to find that so challenging when I was younger and had more fire, I guess. I don’t know, less of a pragmatist, but now it still challenges me, but it’s set things, pick your battles. It’s a day to day to deconstruct her beliefs and ideas around cultures. I don’t think so, you know, that can happen, that conversation, but I just let it go…anyone want another potato, gravy anyone? Might be a good food talk. Andrea: I think that’s brilliant, that is brilliant, like I could have asked her…why now, just like it can bind both your teeth you know, respond versus react and in that moment or breath it’s like……why would you say that now, why would you over react now, why would you drop the S bomb now, why now? If you can’t come up with a good reason for why now then the answer is no. Robyn: That does remind me of a friend of mine who came out as a lesbian on Christmas Day and this is a true story. Half an hour later, her sister said….. hey, look I’ve been meaning to say something to you. Can you imagine that mother, that poor mother….on Christmas Day! So I think, yes, why now, why Christmas Day? Let’s even rename it…why Thanksgiving?, it can wait, it doesn’t have to happen today, you can just enjoy the turkey. Perhaps the mindfulness is a good thing as well to add to the mix. Actually, move your attention away from the things that are causing you stress and focus on the things that just are, that just are like food is a great one and even just reframe for yourself. These are all coaching skills that we would do to clients, but you can do it to yourself. You can say…okay, I’m going to reframe now, I’m going to look this…at my brother here and I’m going to absolutely see the great things that I used to see. You can actually make yourself have a good time. it’s a choice. I firmly believe it’s a choice. Sometimes I’ve been to family situations that I see people just behaving badly and then like, you know, it is a choice, you don’t have to be like that. Andrea: Yeah, I actually agree this has really reached past it. The thing….the tip that you just gave about mindfulness actually also really helps it for a coach and for a coach’s client because the holidays can, on the other hand also, have a dark side and that is that there can be a time that it’s very easy to become depressed, very judgmental of oneself, blue. Perhaps you can’t be with them, perhaps it’s the opposite, you’re lonely and you feel distant or you’ve had a tough year, you’re still grieving something. You know, a good thing to try when you are able to remember is to just be mindful but in a multi-sensory way so when it comes to trying to change your focus to something else, I find that one of the most comforting things that I can do for myself, regardless of if I’m being driven crazy by a relative or just my own mental state, is to use the five senses…breath in deeply the temperature and whatever the air smells like in that moment, look at the shiny redness of this cranberry…. Andrea: And you watch the wax drip off the candle, really into the details of it. So often…. I find meditation really difficult, honestly, and so I’ve had to hack my way into mindfulness through different avenues and I really like trying to take an ant view, like an ant, not your aunt or your uncle, but an ant, the six-legged little creature. Andrea: Insect, yeah and look at the tiniest crevices in the different holes on this turkey or really listen to the background of bells playing in this Christmas carol; drop into that ant view I find is a really wonderful way to change focus and appreciate differently in this moment with your family during the holidays and, of course, you know, it’s that tip that would work for you then it would be a wonderful one to show your clients if they are asking you about these kinds of things. Robyn: Yeah, I think that’s really great and I think just….you touched on people who are grieving in the holidays, I mean, that’s just an extraordinarily difficult thing. I know it personally. When my sister died….that first Christmas, uhhh, so painful because you just feel the loss so much more. It’s still a bit like that. I think it’s always going to be like that, it’s always going to be that she’s not there. The one thing that I found is firstly just to allow that feeling to be and to just let that…that’s what it is, it’s incredibly sad, but also that you can actually have a good time and be sad. You can be happy and sad at the time, you don’t have to be one thing or the other and it can go in waves and both things can be present. I knew…I’m sure that other persons do it differently, but this way it’s remembering people and still bring them there without them physically being present, but it is such a challenging and horrible time if you’re grieving, I think. Andrea: Yeah, feeling what is really like what the underlying basic coaching tenet that I know you know about. Andrea: I think it would be great to touch on….before moving on on this topic which I think is so great, I’d like to reflect actually quite a bit on holidays. It’s still a rich territory for what’s possible for me as a coach, me as human being, but also my business. The holiday is still not…I don’t think of…really taken full dock of what’s possible to accomplish and do and be during that time. What I think is interesting though is we often overlook that because we’re going to be much more social oftentimes. We think about it during the holidays….probably lead time when you will meet the most people and possibly, quite possibly get asked….so how are you doing, how’s business, how is this coaching thing going, more often than any other time. Robyn: Totally! Hardly or even …so what are you doing now? 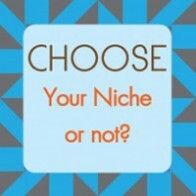 Andrea: Exactly, so those of you, especially if you are newer or thinking about starting a coaching business, I think this is a fabulous like bar none opportunity for you to play with, experiment, test, wave in which you express what it is you do so that you get asked that second and third question. People remember what you say so during the rest of the year they will say…oh yeah, Sally is now coaching and it’s very interesting. She told me this as we were talking over eggnog or whatever. It’s an unparalleled opportunity to get that practice in. Robyn: You know, I saw someone the other day, possibly one of our trainers, so I feel bad not knowing who it was, possibly it was Rob Stringer, anyway, they had a great way of explaining coaching by saying to the person asking….well, of course, saying what they think it is, so coaching, it’s a way of supporting people to reach their goals, blah blah, blah and then he would say…look, just to give you an idea, like if there’s something in your life that you really would want to do but never done and they would go…..how’d you know, I’ve always really wanted to go to Portugal. Well, what I would do as your coach is I would ask you questions about blah, blah, blah, and then explain how that works using something from the person that asked and it’s always a really good way to do it. Andrea: Even actual experience of it rather than say show, rather than tell. You end up coaching during the holidays yourself getting so much practice, getting better at your craft. People will remember you as having moved and touched them in a meaningful way rather than just this conversation about the weather. I love the holidays for this. I think that holidays are prime season for coaches to thrive and really enjoy being a coach and having coaching skills. Yeah, love holidays. Robyn: Yeah, totally. I think it’s a great note to end that discussion on and before we go, I think we do owe our listeners a little bit of a news update. Robyn: So, well, look I know this is an update on what had been doing, but I think you did mention to me that you are thinking of going to Portugal. Andrea: Yeah, we…my husband I…Mike and I have been married for 20 years next year, 2015, so we’re visibly dropping into that reflection what it meant to us in our journey and what it is we’d like to create in the next five, ten, 20 years. Portugal came up as a way in which to really celebrate both the past and the future. Robyn: I’m going to tell you why you should go to Portugal with a friend. Before I do that, it’s so weird because Deb and I have been together also 20 years. Do you think that that some of sort of like coincidence that we’re both sitting in 20-year relationships? Andrea: No, I think it must be some kind of karmic umbilical cord between the two of us. Robyn: I think it is, that’s what I’m thinking, karmic umbilical cord, that’s what I was looking for. (laughs) You know my grandmother got a letter from the Queen when she turned a hundred. Andrea: No, I didn’t know you got a letter from the Queen. Robyn: Oh, we got a letter from the Queen, the Queen of England, Andrea. My grandmother who is 103, by the way, she got a letter from the Queen when she turned a hundred. Anyway, I reckon you should get a letter from the Queen when you hit 20 years of a relationship. Robyn: I think that’s an achievement. Well done! Andrea: Thank you, congratulations to you and Deb. Robyn: I’m going to go to Taiwan on Monday which is pretty exciting, and probably by the time this comes out I will be in Taiwan at the ICF Conference there. That in itself is exciting, but on top of that, Merci, our Program Director from New York is flying out, she’s a keynote speaker there; Pin our Program Director from China is going to be there, myself and Sunny, our marketing person from Melbourne. So we’re all going to be there and Pin’s sister has booked us three nights up in the mountains in Taiwan. Can you imagine, it’s just going to be absolutely beautiful. Andrea: Do you know…..is it Mount Ali that you’re going to? Robyn: I don’t know, have you ever been up in the mountains in Taiwan? Andrea: Let me tell you what because I don’t know if our listeners know, I’m actually Taiwanese by descent. My Dad was born in Ooli which is in Mount Ali which is Alicians. It might be Mount Silver or Mount Oli or you could be going south. I don’t know, but you will have the most spectacular time. You must eat so much fruit that you feel sick. Robyn: It’s like the odd English word, it’s like Chinese, Chinese, Chinese, “sleep” then Chinese Chinese Chinse “Cosi” Is Cosi a place? Andrea: No, I don’t think so. I might have crashed a party if you had given me exactly where. Right, listeners, we should all go crash them because she’s not going to give away where she’s going to go. I think it’s so special that the ICA team, all these leadership is convening in Asia. Really, there’s so much of the future for coaching is happening under the auspices of this group. In this part of the world in this time, it’s such a special time. Thank you for going, I mean, you’ve got plenty of other things you could do. I know it would be fun for you, but it’s……if I could be there, I would definitely be there. Robyn: Honestly no thanks needed, I just love Taiwan so much. I love China too, but it’s…..coming back to Portugal, it’s the Portugal/Spain thing. I just like to be in places where I can move around into quite different areas within two hours. You were talking before about should you go to Portugal and Spain, Spain is fantastic, I love Spain too, but if you only hve a week you’re going to have pretty much to pick an area in Spain which is fine. In Portugal you can go to so many different places in that time. And also, I don’t know, there’s something about the feel, maybe because I’m a second city girl from (I’m Melbourne not Sydney) and there’s a whole lot of stuff about the differences between first city, second city people, but, Vancouver sounds a bit like so much like Melbourne, the pace at which people walk. It’s intangible, it’s just the feel of the place. I think I’d prefer the smaller places to the bigger places. Andrea: We always prefer islands, we have a lot of islands. We’re actually thinking of visiting the Azores in Portugal, but I look forward to future episodes of CoachStreet where I can update you on all the things…..I want to hear all about Taiwan and China. Robyn: I know, Taiwan and the, of course, China as well. I’m going into Shenzhen and giving a talk at a university on Coaching to the students so that’ll be fun too. Andrea: (speaking in Chinese) Bon voyage. Robyn: Says goodbye in Chinese – and it’s wonderful that you joined this call on your new iPhone. Robyn: Well done and I’m so happy to be back in the saddle. It’s so great and we’ve a few more calls booked coming up so listeners don’t have to go thirsty for too long. Andrea: Yeah, if you are happy that we are back, let us know. There is nothing like NOT being missed. Robyn: Yes, we want emails telling us that you love us. Alright, have a great evening, I’m about to start my day. I’ll speak to you next time. Andrea: Next time on the other side. Bye. What is the First Step to Making Changes? 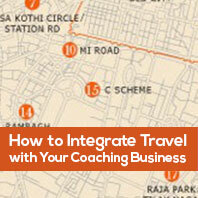 How is International Coach Academy’s Training Different?